AMAZING QUICK DRAIN REMOVES SPA WATER AS IT VACUUMS – WITH NO MOVING PARTS! Draining your spa will never be easier. Simply dip the clear wand end of the drain into your spa, shake it and the water comes pouring out through Quick Drain™’s discharge hose. The drain is powered by simple siphon action and will drain 10 – 12 gallons per minute from your spa. In fact, it will completely drain a 400-gallon spa in just 30 minutes. Not only will Quick Drain empty your spa, but also allows you to vacuum up debris as you drain, eliminating the hassle of toweling debris. It will remove rocks, glass, leaves, and sand. 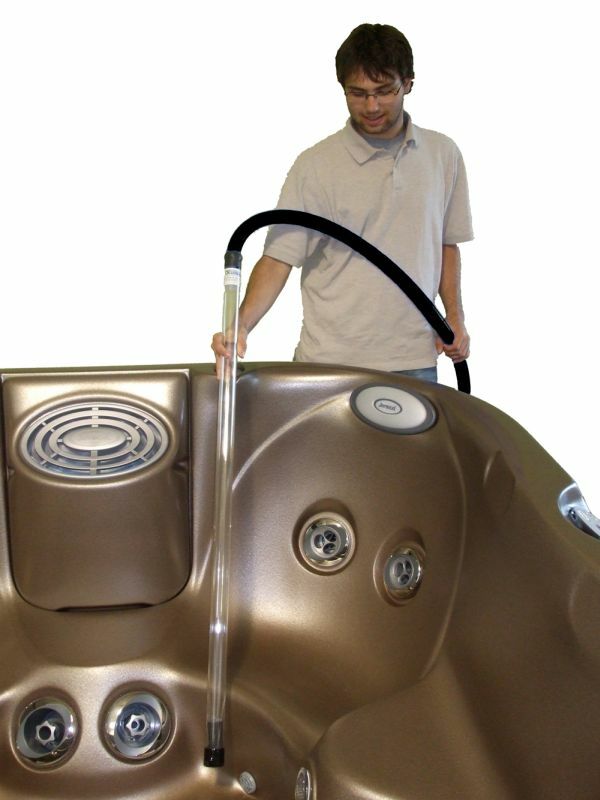 We also offer an extension discharge hose to allow you to direct water up to 24 feet away from your spa. 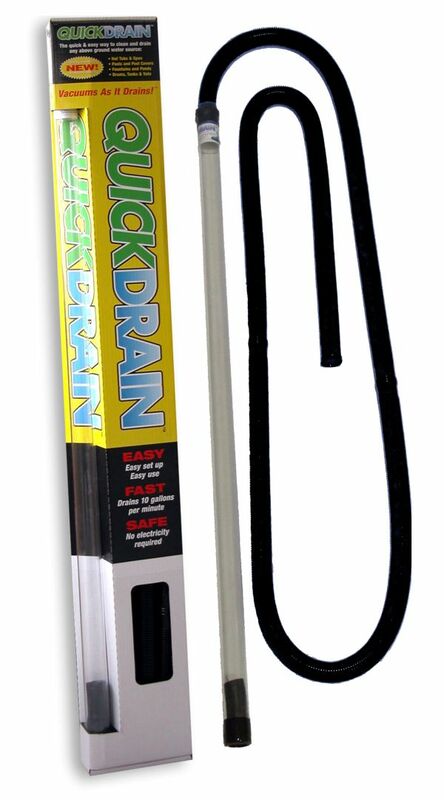 Quit wrestling with garden hoses and waiting hours for the spa to drain with Quick Drain.